Whether the 20th century will hold up as a distinct period in world history is open to debate, recency makes it seem significant. 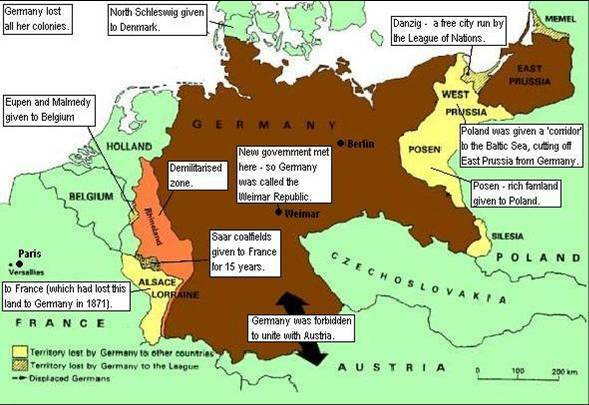 The world wars were a result of Europe’s inability or unwillingness to coalesce into a single state. Mass violence and genocide occurred repeatedly on an unprecedented scale. Communist revolutions had their roots in Western European Marxism, but took on their own cultural attributes. Land based and transoceanic empires gave way to new types of transregional political, economic and diplomatic systems. This period marks the end of great empires and the emergence of nation-states. Anti-imperialism emerged as a major social and political force. The most defining quality of this period is an explosion of the human population. Industrial output grew dramatically during this period. Globalization has taken on a new meaning in the context of rapid transportation, electronic communication, greater economic interconnectedness and the processing of information at unprecedented speeds and volume. Popular and consumer culture became globalized. The negative human impact on the environment is more significant and widespread than previously in human history. After viewing Schindler's List, you will respond in a one page short essay to the prompt: Based on the film, what conclusions can you draw about the impact of science and industrialization on our species' essential and enduring nature? In the 2012-13 year, we read the 20th century first. So they were struggling with this period while also struggling with getting used to the class. I wrote this to prop them up, it would have been about early September. I just ran across this in my files and thought I might plant this here for people who are actually looking at my People Places files. Shhhh! Don't tell the rest, make them do the work, they need it!